Discover the wonders of ancient Greece on this gay group trip. Greece is considered to be the cradle of Western Civilisation and this trip will show you why. We’ll visit Delphi where the oracle used to bestow her wisdom. Now it’s just a ruin but it’s one of the most numinous places you’ll ever visit. You’ll also get the chance to explore the military hub of Sparta and the birthplace of the Olympics, Olympia. 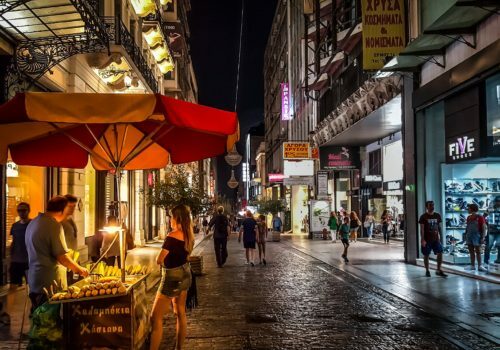 From Athens Airport you’ll be transferred to our hotel in Plaka, the city’s oldest district. In the evening we’ll dine in the shadow of the Acropolis. Our archaeologist guide will take us on a tour of the city. We’ll visit the Parthenon and the National Archaeological Museum. In the afternoon you’re free to explore the ancient Agora and the winding streets of the Plaka. In the evening we’ll try some nouvelle Greek cuisine at a local restaurant. After breakfast we’ll cross the Corinth Canal to the Peloponnese region where we’ll visit Corinth. This was one of the major cities of ancient Greece until it was destroyed by the Romans and rebuilt. Here you’ll find the temple of Aphrodite which served as the best little whorehouse in antiquity. We’ll then move on to Nafplio, the first capital of Greece post independance. We’ll visit the ancient Epidaurus theatre and the remains of Mycenae – it was a setting in The Iliad, the oldest work of Western literature. Today we’ll visit Sparta, the military powerhouse of ancient Greece until it fell to Thebes in 371BC. It retained independence until 146BC when Greece was conquered by Rome. It then fell into a long period of decline – arguably until 2006, when the film 300 got pulses racing. Today we’ll drive through the quaint villages of the Mani Peninsula. Today we’ll visit the home of the Olympic Games. We’ll visit the site where the Olympic torch is lit every year. We’ll set out on a 3-hour drive to Delphi and cross the Gulf of Corinth. We’ll be staying in Arachova on Mount Parnassus. It’s sometimes known as the winter Mykonos – there are plenty of great bars and restaurants to explore. We’ll explore the ancient site of Delphi, the great religious centre of the ancient world. Overlooking the Bay of Corinth, it has some of the best views in Europe. This is where people used to come to seek the cryptic advice of the Oracle Of Delphi. We’ll visit the temple are pay our respects. We’ll also visit the museum and see some of the artefacts that have been recovered from the site. 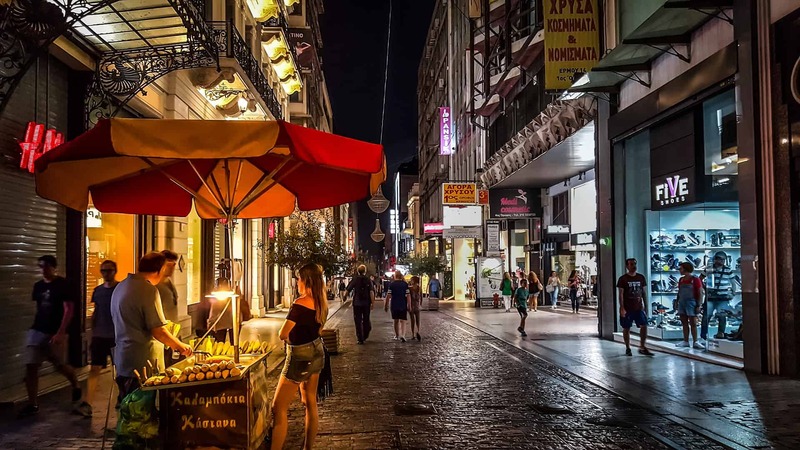 We’ll return to Athen for a farewell dinner.